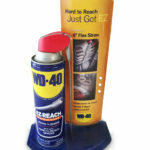 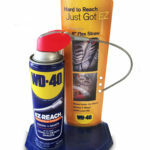 This point of purchase counter display was created to introduce WD-40’s new product feature the flexible straw to the automotive channels. 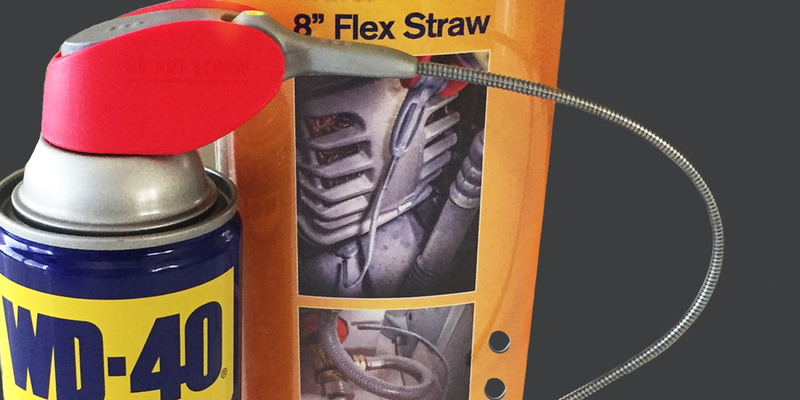 We designed this curved display to be interactive for consumers reinforcing the straw’s fluid movement. 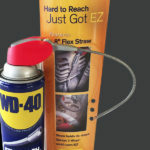 Holes were cut in the display to encourage users to play with the straw, and show the ease of use in hard to reach places.